Betty Kowalski isn't looking forward to the holidays. She just can't seem to find Christmas in her heart. There's church, of course. But who can she bake for these days? And who would care whether or not she pulled out the Christmas decorations? Her new neighbor just adds to the problem. He's doing home improvements that don't appear to be improving much of anything. These days when Betty looks out the window, she sees a beat-up truck, a pile of junk, lots of blue tarps, and--horror of horrors--an old pink toilet. 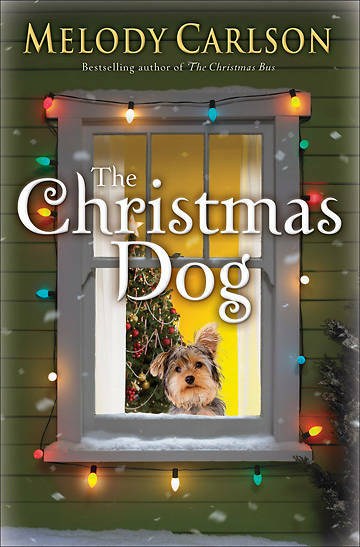 But when a mangy dog appears at her doorstep, the stage is set for Betty to learn a very important lesson about what Christmas is all about. This contemporary Christmas story is a timely yet gentle reminder that God can work miracles through something as seemingly insignificant as a little brown dog.